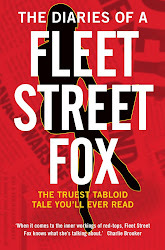 fleet street fox: You're Hari a laugh. THE WORST journalists are the ones who don't get it. The ones who shrug when they hear a contact has had their life threatened after they printed a lie; the ones who think because they survived one screw-up they'll survive the next one; the ones who think power equates with being bullet-proof. Despite common belief, such journalists are rare. It's exactly the same as in any other industry where there is always one person in your office whose lack of general human decency makes them stick out. In a newsroom the remaining 99% of the staff might be sociopaths but they generally know roughly what morals look like, not least because otherwise we could not do our jobs. If you don't know right from wrong yourself it's impossible to interview someone with empathy, hard to get the right quote, difficult to see past your own ego to the story and the people in it. If every journalist were like the caricature many people believe us to be we wouldn't be able to spot human interest, much less feel it, and newspapers would not have sold millions of copies for 300 years. If nothing else a sense of survival keeps you roughly on the straight and narrow. If you make up stories other journos who are made to look bad as a result will stitch you up every chance they get, if you don't stand your round you never get one bought and if most hacks had done what Johann Hari did they would be down the Job Centre quicker than you can say "gross misconduct". For those as don't know, Johann is the star columnist of a snoresheet which I have not been bored enough to read since I was last in a dentist's. He made reference to polishing quotes in his interviews and a tabloid hack called Brian Whelan did some digging and found that Johann had fabricated entire slabs of interviews, repeatedly, for years. He used quotes his subjects had said or written previously along with heartfelt details about how they were looking deep into his eyes while they said it. It's not phone-hacking Milly Dowler, but it's still not on. It's a lie, his subjects didn't know about it, and what's more he used such pieces to win a prestigious award for political journalism with a £3,000 pot and a judging panel who, presumably, were unable to use Google. He was subsequently found to have set up a fake internet identity to discredit critics, accuse other journalists of alcoholism and anti-Semitism, and act as an unofficial Hari cheerleader. I have got drunk with and greatly respect two of his victims, former New Statesman deputy editor Cristina Odone and Observer writer Nick Cohen, who are both fine journos. It was all pretty vicious and - just as with that guy in your office - his behaviour showed more about his own insecurities and character than it did his industry. He was suspended for two months, was subject to an internal inquiry, has returned his prize (but not the cash) and issued a public apology for most, but not all, of his behaviour. But he still doesn't get it. And here's why. Johann Hari disgraced himself and tainted his profession just like Andy Coulson, through hubris and stupidity. 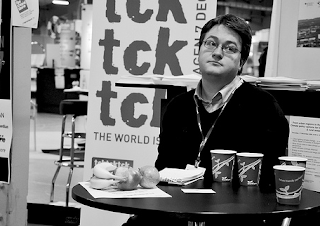 He thought he could do whatever he liked because he was Johann Hari, with a big picture byline. He says he was "wrong and stupid". No mate, you were crap at your job, nasty when you were found out, and you just didn't care. You were incapable of drawing the right quote out of your subject, unable to see beyond your own prejudices to report fairly and accurately, and more importantly did not manage to put your monstrous ego to one side and see that you were in the wrong. And you have apologised now only because you must. It's not all Hari's fault. He was recruited straight from university without ever studying law, shorthand, government or anything else I had to sit an exam in. He never had to chat his way across a doorstep, deal with someone threatening suicide or waving a gun, or realised long-term contacts have to like and trust you. He never learned a bit of humility or that everything you write has consequences somewhere. That's because big-name writers who bring in readers get a little leeway from The Editor. Jeremy Clarkson can be almost as rude as he likes, Su Carroll can pick her own subjects, Richard Littlejohn can write 2,000 words in iambic pentameter if he chooses. But they're still supposed to have a basic grasp of the main rules of their trade and the first and most important of which is: NEVER BECOME THE STORY. Hari failed on all counts. He's a bad journalist earning a huge salary on a struggling newspaper with tight budgets that can barely afford proper news coverage, staffed by people trying their hardest and each of whom, had they brought their newspaper into the disrepute he has, would have been sacked. Yet he's not only still in a job, he's on a five-month holiday two months of which were paid, and is "retraining" at Columbia University in the US. How can you retrain someone who was never trained in the first place? Well, in the certain expectation I will never be asked to do it, I hereby offer to train Johann Hari. If he wants to spend three months with me rather than attending seminars on the free press in Somalia I'll not charge him a penny. I will teach him shorthand, lecture him on the Contempt of Court Act 1981 and Sexual Offences (Amendment) Act 1976, grill him on local government, the council tax system, the defences against defamation and how to win a drinking contest. I'll send him out on deathknocks, pack jobs, magistrates' hearings, junkie inquests, tell him to drive 300 miles on a hopeless tip at 10pm then insist he's back at work for 7am, make him spend his birthday at a late-night local council planning committee, publish his phone number and paint his name on the side of his car so everyone knows who he is. I'll show him what to do when someone comes at him with a lump of wood or collapses in tears, and how to file off a notebook down a bad line while you're being shot at to someone who's drunk. It's not perfect and I could probably think of some more stuff but that seems to me like a syllabus which will teach him to care about his trade, the people in it and those he writes about. That, or it puts you off for life. He probably wouldn't last an afternoon. He hasn't even got his pen out.